Behold - my currently filthy brushes. Neglected and caked with foundation, blusher and eyeshadow. A sorry sight for all beauty lovers. But do not fret, my lovelies. 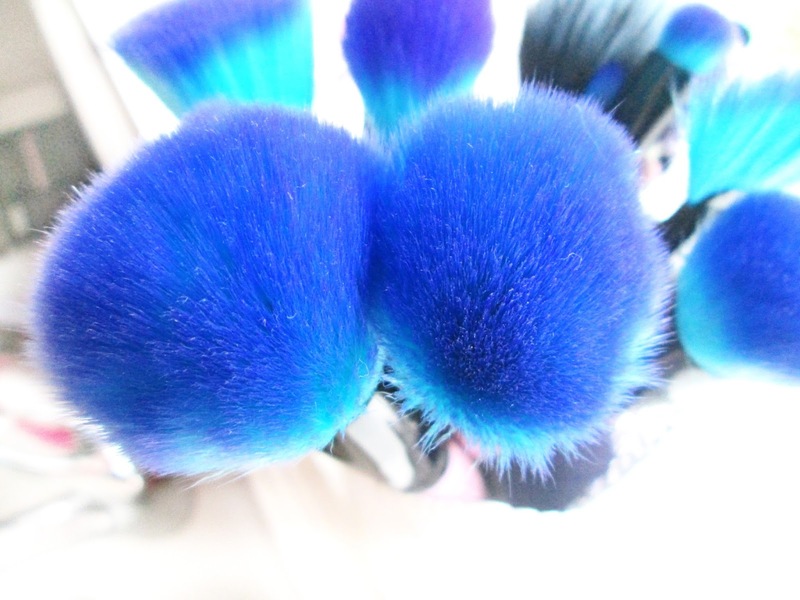 We shall make these brushes beautiful again. I totally refuse to buy any brush cleansing gel or specific soaps when shampoo and shower gel do just as good a job of getting my brushes clean. However, I found that shower gel dried my poor Real Technique brushes out to the point of no return *cry*. So, not wanting to ruin my beautiful Spectrum brushes, I decided to devise another method of cleaning my brushes. 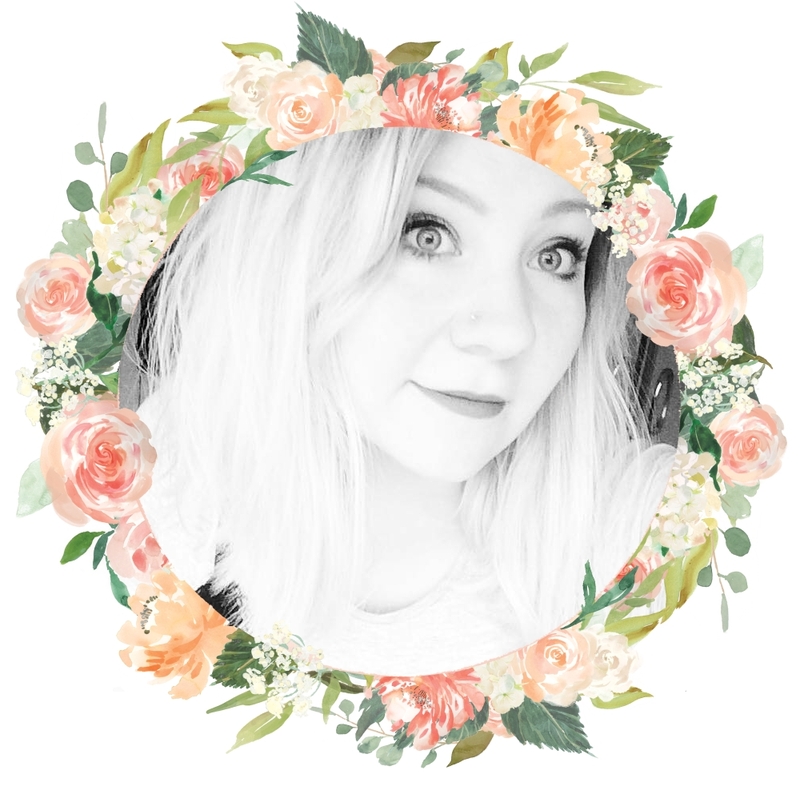 My current favourite thing to clean my brushes with is Soap & Glory's Peaches And Clean deep cleansing milk. This cleanser smells absolutely amazing and is perfectly for gentling cleansing and moisturising makeup brushes. I first wet my brushes with lukewarm water and massage in a little Peaches And Clean. Rinsing my hands under the tap first, I then squeeze the bristles in my fingers up from the base to to tip. At this stage a lot of makeup will drip off the bristles, so be sure to do this over a sink. I rinse my brushes and repeat the previous step in necessary, then dip the bristles in Inecto Naturals Coconut Conditioner, leaving it to soak in for 20 minutes. This stops my brushes becomes dry and harsh, whilst making them smell absolutely amazing. Et voilà! 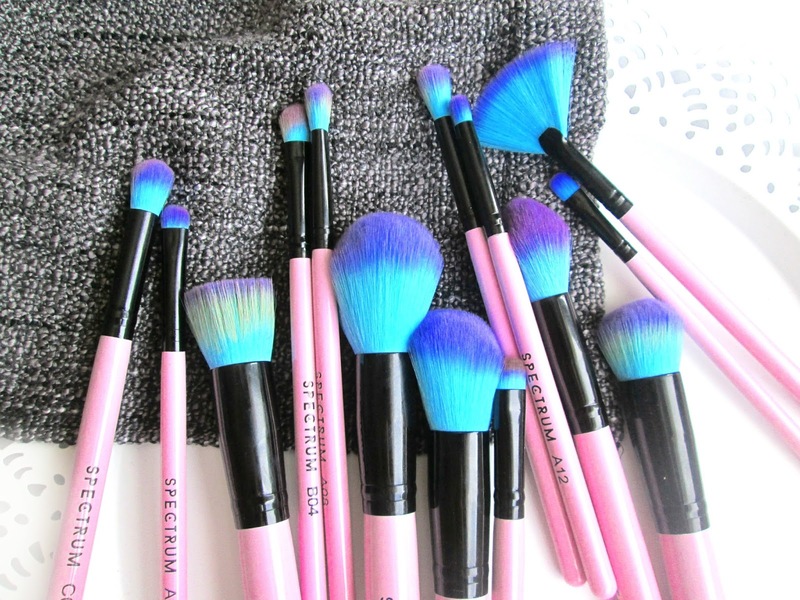 Beautifully clean and soft brushes. Usually I like to leave my brushes to dry naturally overnight, but I was in a hurry after washing them and wanted a way for them to dry quickly. I ended up drying them with a hairdryer on the cold setting, the result was brushes that were crazy fluffy and looked absolutely brand new, feeling silky and soft between my fingers. Washing your brushes at least once a week will keep them in good condition and help them to last longer, so be sure not to slack on this little beauty task. 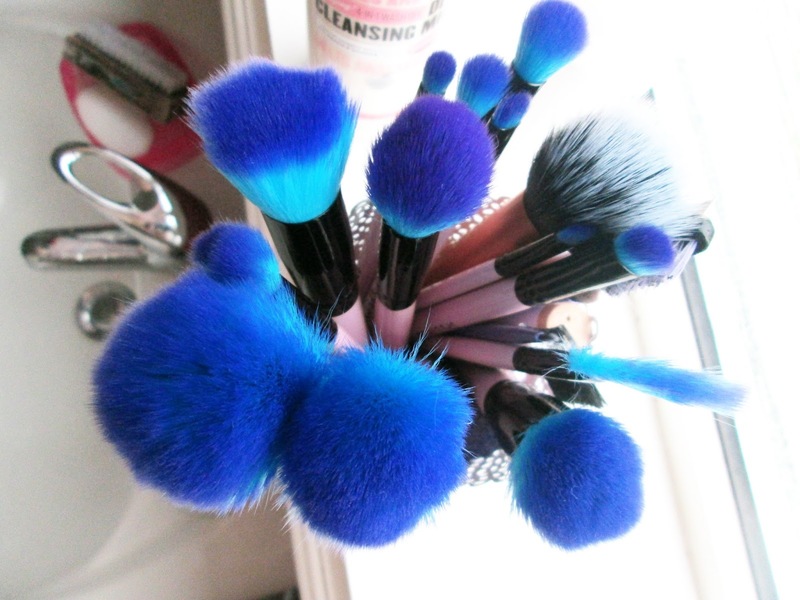 When dry, keep them away from any open windows to prevent any dust of pollution clogging your lovely new clean brushes! 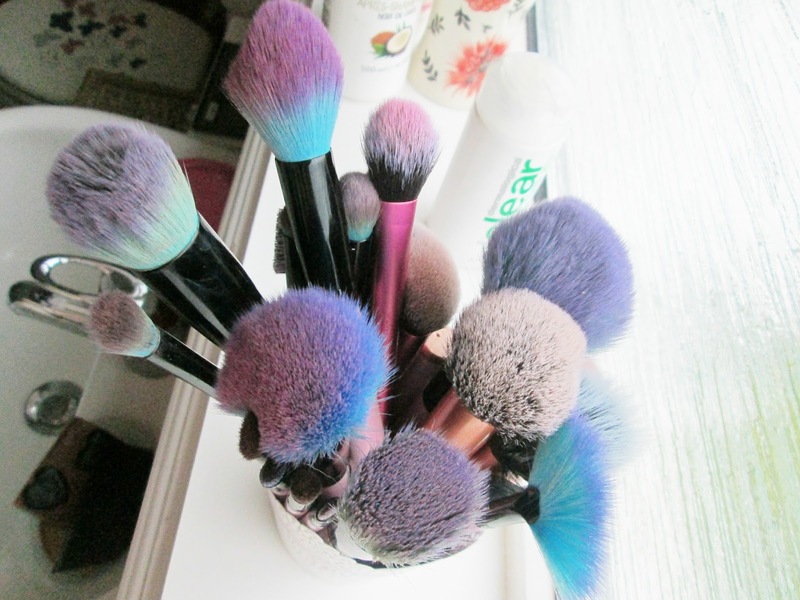 How do you take care of your brushes? My brushes must hate me, I only wash mine about once a month lol, bad bad bad! Love the Spectrum brushes through, they are stunnnningggg! !